Come experience the peacefulness of backing up to a greenbelt that not only offers privacy from neighbors but is also a great outdoor escape for walkers, runners, bikers and everything in between. This charming Ranch style home located in Founders Village offers 2 bedrooms and a 3rd non-conforming bedroom, 2 bath and lots of upgrades throughout. The refrigerator, windows, vanities and toilets have all been upgraded in the past 12 months and within the past 2 years there has been a new roof installed, pergo flooring on the main level, and new furnace. The master bedroom offers a walk in closet and oversized windows for lots of natural lighting. 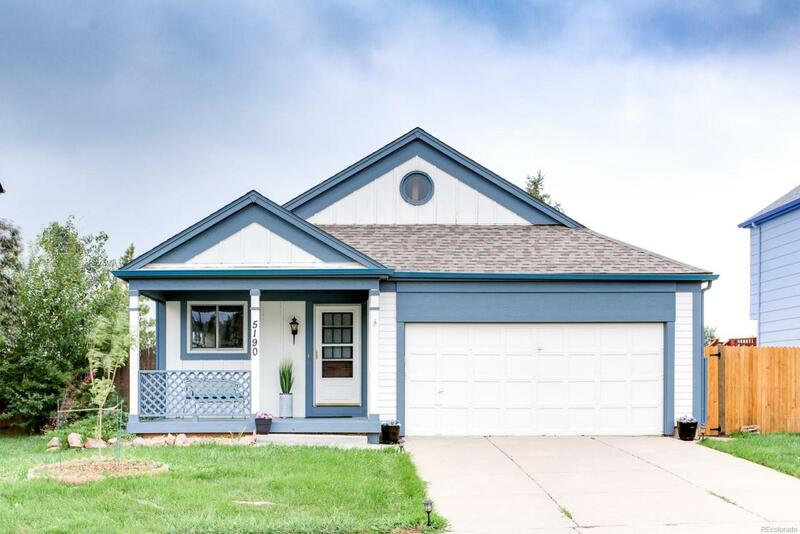 This home offers convenient access to nearby grocery shops, downtown Castle Rock, Founders Park and Castlewood Canyon State Park.